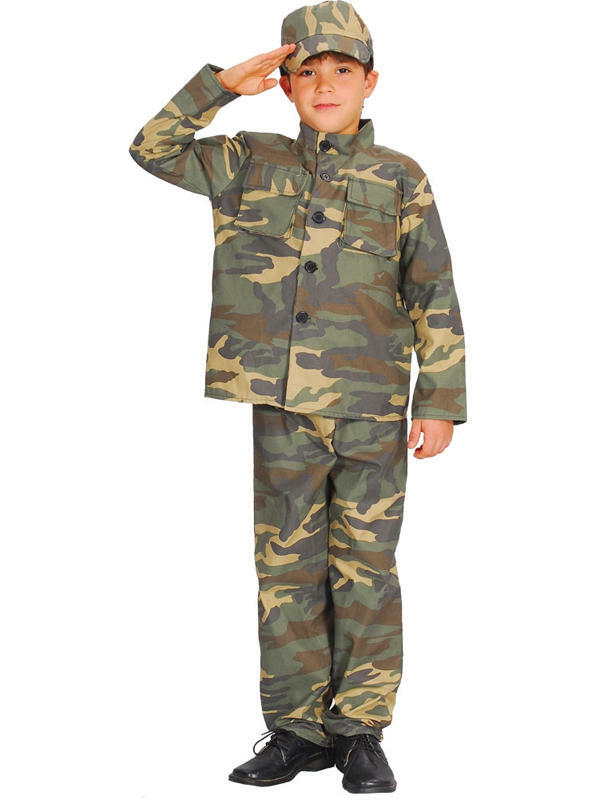 One of the most popular costumes for boys is the Army outfit. Now he can look just like the toy soldiers he loves to play with in this camouflage-style army costume. Forward, march! Includes jacket, trousers and cap.